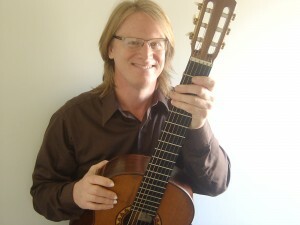 Classical guitarist Daniel Quinn has performed over the past twenty-five years in concerts around the United States, Canada, and Japan. Daniel has also been and instructor of guitar for thirty years at colleges such as Indiana University, Huntington College, University of St. Francis, and the Tokyo College of Music. He currently teaches at St. Mary’s College and Holy Cross College in Notre Dame, Indiana, and from his home studio in Fort Wayne, Indiana (USA). Daniel has been active in creating new ensembles in Fort Wayne, Indiana. Including groups like the Fort Wayne Guitar Quartet, The Indiana Guitar Trio with Guido Sanchez-Portuguez and Nemanja Ostojic, Duos with John Alvarado, and other talented guitarists in the area. Daniel has performed with vocalist Mark Stachofsky, pianists Aki Wada and Angelin Chang, violinist Hiromi Ito, Cellist Hikaru Tamaki, Koto player Yoko Reikano Kimura, and Harpist Heaven Fan. Daniel completed his doctoral degree in Guitar Performance and Literature at the Indiana University school of Music in 2003. His dissertation was about Guitar music from Japan. He has been invited to give recitals and lectures on this subject at such venues as the Guitar Foundation of America Convention at the University of Texas at San Antonio, Irino Center in Tokyo Japan, Hastings College Nebraska, and the Cincinnati Conservatory of music Summer Guitar Workshop. A summary of his research has been published for Soundboard magazine in October of 2005 (Volume XXXI (31) No. 1). Daniel has been active in the performance of new music for the guitar for many years. He has premiered new works at the June in Buffalo festival, for the Japan Federation of Composers in Tokyo, The Midwest New Music Symposium, Society of Composers, Inc., as well as many of the Indiana University Hammer/Nail project recitals, and composition recitals. He has premiered new works by: Gordon Williamson, Garrett Byrnes, Daniel Gilman, Kazu Munakata, Victoria Malawey, John Gurino, Michiharu Matsunaga, John Ferguson, Satoshi Ohmae, Kevin Hiatt, Catherina Palmer. In February of 2006 he performed Sonata “Wind” by Yasuhiko Tsukamoto at Suntory hall in Tokyo to celebrate the publication of this score.